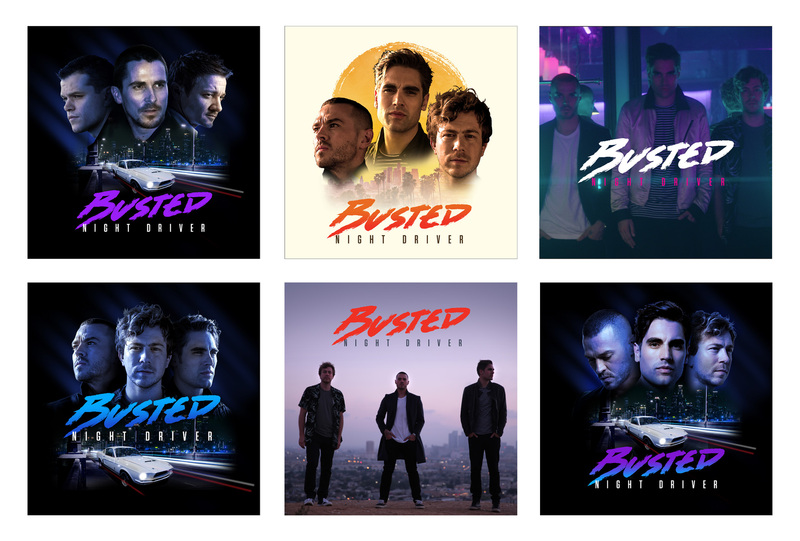 Charlie, James and Matt are back together with a new electronic sound, Busted have returned and Zip were kindly invited to create their all new look. 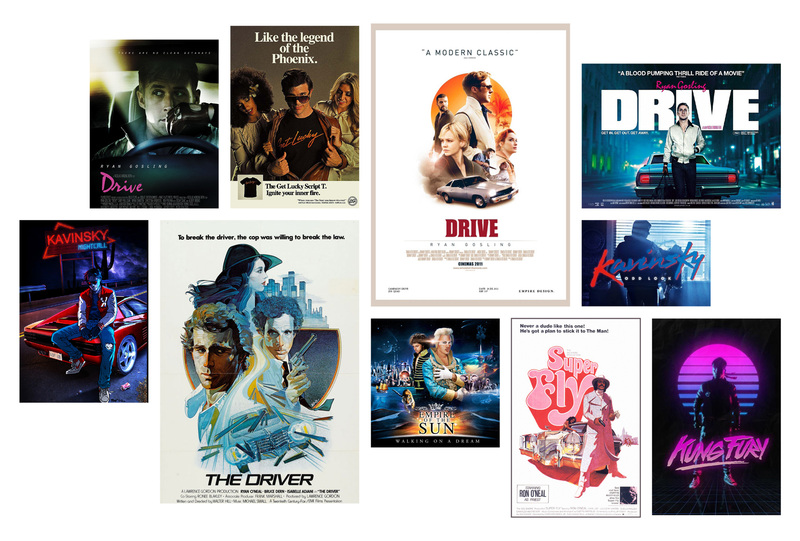 The initial brief was to create a record cover that felt like an epic movie poster, the working title of the album was ‘Night Driver’ and the band had referenced some cult films as visual queues. The band were keen to move away from the original stamp style logo, which had originally fit perfectly with their pop punk style. With this new sound which has a nod to 80s synth we played with both the album title and the band name being either a 1980s style brush based typeface or a hand drawn version. We opted for the latter as it offers a unique style and is then bespoke to the band. Once we had a shape everyone liked we developed some colour ways and textures before finally agreeing on the neon pink and purple gradient. 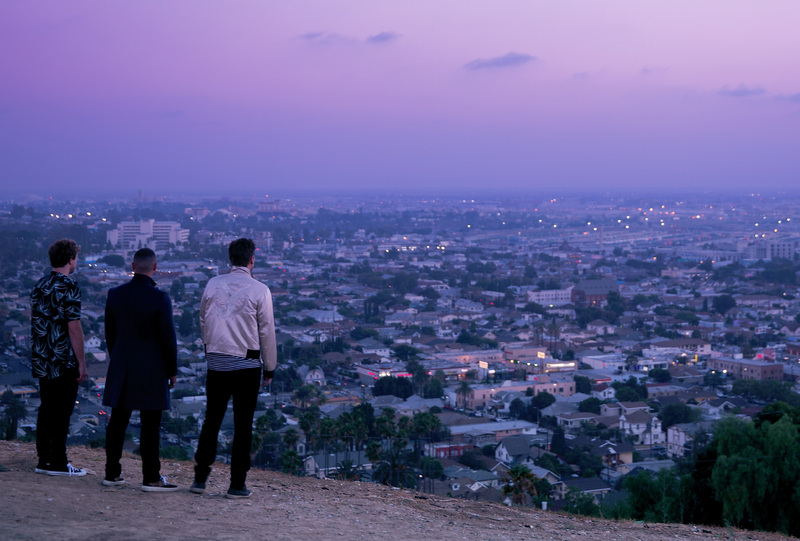 Along side the movie poster route we also developed options that incorporated Busted’s LA shoot as a more commercial pop route with a combination of the 80s style logo. This would eventually become the final sleeve. 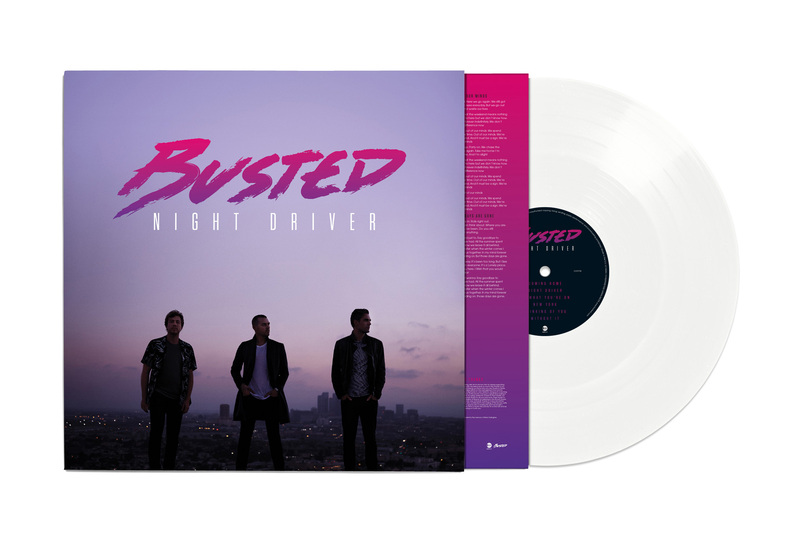 The special edition 12″ album features a rather shiny white vinyl record – surely a must for any die hard Busted Fan!